Can sceptics help themselves or do we have to help them? Can they ever put their denial behind them? Victoria University has a highly-skilled psychologist who will dissect their anti-social behaviour. The official brochure asks: “If it’s so obvious, why doesn’t everyone believe in climate change?” But the brochure misses the simple truth—that it’s not obvious because it’s not happening. The denial is actually in those presenting this examination of denial. What is obvious to the open mind is that it’s easier to cast doubt on the sceptic than to produce non-existent evidence of dangerous anthropogenic warming. I mentioned this extraordinary public lecture in Are you a scientist? a few weeks ago. I’ll be there; I hope to see some of you. If you would like to attend, rsvp by tomorrow, Monday 20 July, to rsvp@vuw.ac.nz with ‘Manukau lecture’ in the subject line or phone 04-463 5791. 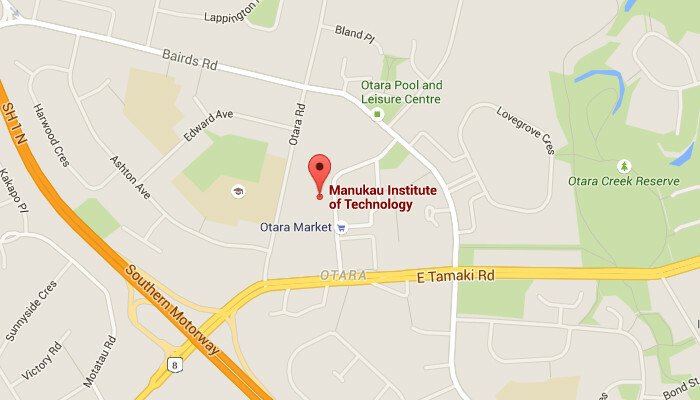 Two Victoria University of Wellington academics will this month give a public lecture on aspects of climate change at the Manukau Institute of Technology. Climate change: beliefs, biases and measures will see Dr Marc Wilson from the School of Psychology and Professor Lionel Carter FRSNZ of the Antarctic Research Centre discuss how people think about the issue of climate change and aspects of the science underpinning the world’s changing climate. I’ve been advised by Victoria University that the lecture has been cancelled. I rang them for details. They were wanting 40 RSVPs to go ahead but apparently they received only 20. It’s disappointing that we won’t hear the details of this theory explaining climate denial nor get the chance to question them, though they might look at it again next year. >”Therefore any posited forcing of CO2 in between is invalid.” YES. You have it here. The posited “forcing” is there but it is ineffectual. dF = 5.35 ln (C/Co). Where Co is initial year CO2 level in ppm and C is final year CO2 level in ppm. The Leckner curve reaches maximum forcing around 200ppm and that’s it – no more. The IPCC curve continues with increased forcing. Nevertheless, this is one method of determining the IPCC’s theoretical CO2 forcing in the atmosphere from historical CO2 levels and developing future scenarios, however erroneous those might be. 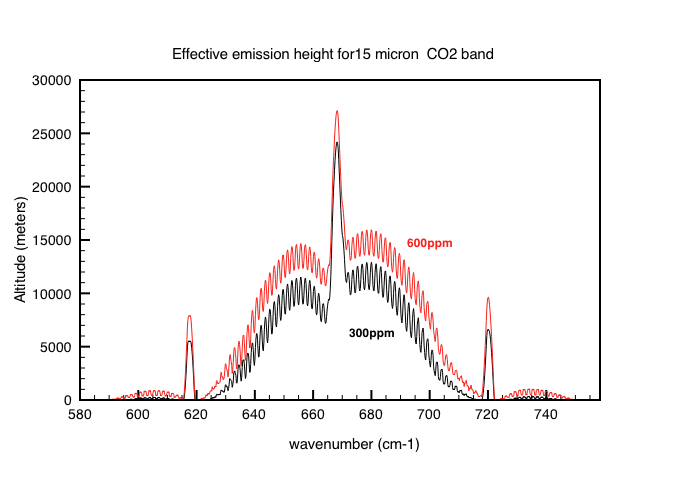 These observations must be done regularly over time to track the additional CO2 molecules in the air i.e. as CO2 levels increase the theoretical forcing increases. The CO2 molecules intercept outgoing radiation, they thermalize (get heated), then almost instantly re-emit radiation (give off heat) . They do not “trap” heat as is the common notion. CO2 is an effective energy transfer medium. In the thermosphere coronal mass ejection (CME) energy from the sun (dollops when this happens) is sent right back out to space by CO2 and NO2. We would cook if that didn’t happen. CO2 is used as a coolant in refrigerators (Code R744). It does exactly the same job in the troposphere but climate science says it doesn’t. 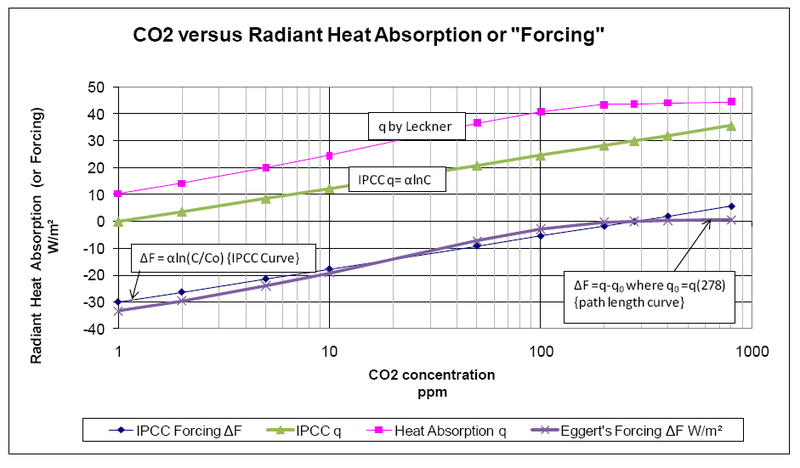 Note that there is no observed downward trend in outgoing longwave radiation (OLR) at TOA as would be expected from the theory that OLR intercepted by CO2 and converted to energy in the form of heat is blocked from egress to space as radiative energy. Observed OLR is increasing not decreasing. The observed theoretical “forcing” (which is actually a TOA term – not “Earth’s Surface”) is a little less than what would be arrived at by using df = 5.35 ln (C/Co) over the same period. Both are theoretical. But by however means the theoretical CO2 “forcing” is arrived at it is inescapable (undeniable) that the theoretical forcing is having no effect whatsoever on the earth’s energy budget which is the primary critical criteria for climate change. So it looks like they did refer to the IPCC, wouldn’t you say? Are you just making stuff up, Richard? Why? There are plenty of interesting things to discuss about the policy response to sea-level rise, without denying verifiable facts. Finding information on the Venice flood protection works is harder – they have less documentation in English. But “IPCC” appears on their website a lot, you’ll find. [Andy] Christchurch is not planning for sea defences, unlike Holland. Do you think they should? Seawalls and barrages are expensive – I’m not surprised they survive a cost-benefit analysis in the Netherlands and Venice, but suburban Chch? I suspect not. Should people outside the affected region be asked to pay for such a project? These are not rhetorical questions – I really think people should see such an analysis when the council makes planning decisions. If insurance companies funded rebuilds, but now won’t insure the house, then I can well imagine your frustration. As I wrote yesterday, New Zealand really needs a coherent policy on this: ways of continuing insurance cover of assets facing predictably increasing risks; ways of ensuring that (the majority of) people will abide by decisions to ‘red zone’ if and when it proves necessary. It’s got to be possible, don’t you think? [Richard C] My statement “unperturbed” is in comparison to panic stricken Christchurch City Council. The Dutch actually seek out the risk of inundation (they are risk seekers) in order to live on land claimed from the sea. They plan, build, carry on unperturbed. But CCC are risk averse (in the extreme). In both the Netherlands and Christchurch the authorities are planning for the future using the best available information. I know you don’t agree with the IPCC conclusions, Richard, but they are authoritative, and governments would be taking an extreme risk not to heed them. Nobody can blame them if the world doesn’t warm and the sea doesn’t rise – they are acting responsibly with the information they’ve got. But if they ignore it, and the sea _does_ rise, then the liability would be terrible. A no-brainer, from their point of view. As for the Dutch “seeking risk”… nah, nonsense. The very first recommendation of the Delta Commission report is “the present flood protection levels of all diked areas must be raised by a factor of 10”. The defences they plan are the result of cost-benefit analysis. I recommend the report, the English translation is good reading. Authoritative? What a load of rubbish. You accept authority even when it is in error and can be proved to be? There’s all manner of nasty things that could be planned for because they “could” eventuate but this distorts policy. Everyone already knows sea levels are rising due to natural cause and the rates are known. The risk is known. The IPCC predictions of a man-made acceleration are demonstrably wrong already, there is no risk ignoring them. It should be happening by now if it is ever to happen but we’ve had 25 years and nada. The historical rate of rise is the default for planning and totally responsible. North Carolina has moved to this, they sacked the IPCC. Shoalhaven in Australia called in the NIPCC for a realistic assessment. There is no justification for basing policy on whimsy. Councils will either follow suit or be forced to concede council by council but it will take time and probably legal action. The Dutch made a conscious decision years ago to claim land from the sea below sea level. This is risk seeking. They continue to take the risk. This is risk taking. If they are already committed to continuing their dike regime, and they appear to be, then obviously they will go to whatever cost provides the greatest benefit which for them being below sea level is rather different to being above it. I would want the highest dike for cost irrespective of whatever scenario was being catered for.. But Christchurch is not in that situation. The SLR risk for an above default scenario is negligible and the default (not actually a risk because the rate is known) can be managed without unnecessary cost and value wipeout. Christchurch is not planning for sea defences, unlike Holland. Yes I agree they are expensive. I don’t necessarily agree that the council or govt should fund a sea wall at Southshore. However, the government decided to red-zone all the estuary facing properties and demolish them. Private property owners provided their own sea wall defences where needed (not large I might add – just enough to prevent erosion). There is now a buffer zone of empty land which is now vulnerable to storms and no one seems to take responsibility. But then this is a story of Christchurch all over and I don’t want to sound like another moaner especially as we are planning to move away permanently. I am more concerned, however, by the general ethos and philosophy shown in the MfE report I linked to earlier. Well, of course coastal erosion is a natural cyclic process , but so is cancer and ebola. Should the wildfires in Australia be allowed to burn unchecked? Many think so, it is part of a natural cycle that regenerates seedlings. Should we fine people for creating firebreaks around their properties to protect their families? Some think so. What of the Wellington CBD and Wellington airport. (Much built on reclaimed land) Should we let these get reclaimed by nature, as part of a “natural cycle”. ? Thank you for your references, and your impressive grasp of these policy issues. However, I stand by what I said, because there’s no reason to believe the IPCC’s most conservative scenario, much less its most alarming. The thread of reason that connects our emissions with the level of the sea is tenuous and demonstrably unproven. The Delta Committee was responding to the threat of dangerous climate change because when it was set up in 2007 the political pressure to believe in it was enormous. But that doesn’t mean they have acted on it. If you read the report you find the Dutch don’t meekly accept everything the IPCC says but make up their own minds. The scenarios are more reliable out to 2100 thanks to our knowledge of the present rate of sea level rise and the fact that it is unlikely that this rate will accelerate greatly over a period of several decades. The reliability of predicted sea level rise beyond 2100 is far less. In a piece of eminently reasonable thinking, they decided that climate change would cause no great changes before 2050 and thus they left future engineering for the future. So, as I have already observed, the Netherlands “are [not] responding to the IPCC’s insubstantial guesswork” but are engaged in work based firmly on experience. If you have evidence that this is wrong, by all means present it. You should know that, notwithstanding these high—even record—emissions, the global average surface temperature since about 2000 has exhibited what many call a hiatus. In other words, the very first link in the tenuous chain of logic that establishes our guilt in the rising of the sea has recently been shown to be weak. Our emissions don’t control the Earth’s temperature. Quite. It was produced by 8 models from an IPCC scenario but does not allow for more melting ice brought on by the higher temperatures. Guesses piled upon speculation heaped on wild assumptions. It’s scientific nonsense and an engineer would scoff at being asked to build something based on this picture of the “future.” Of course we must never forget (from the Delta Commission report): the IPCC says explicitly that these scenarios are not extrapolations of present trends but plausible pictures of the future and it makes no explicit statements on the scenarios’ probability. Remembering the fellow in the path of the Black Saturday fire who had previously been fined $60,000 for clearing a firebreak around his house who said after surviving the fire unscathed that he had been vindicated. Drainage is about the best example of living with consequences there is. Christchurch and Somerset Levels are prime examples (Holland is the extreme case). Our modern infrastructure creates a drainage problem simply by altering the runoff coefficients. Flood plains are built on so naturally there will be a flooding problem eventually. But we get some event that would otherwise be sensibly managed locally and it becomes an opportunity for “authorities”, including international (as per T Man), to exercise overbearing distortion of the situation because of some global scare campaign based on fantasy and a Green agenda. Map of the coastal areas of Tauranga, Mount Maunaganui and Papamoa showing tsunami evacuation zones. Obtaining Tide Gauge Data. To obtain individual records, click on the appropriate …… -36.843. 174.769. 127. NZL, 09/06/2003, 690, 002. MOTURIKI ISLAND. NIWA has data from this tide guage for 2015 so I don’t know why PSMSL only has this plotted or on record. Maybe now the data has to be purchased from NIWA. BC 81 4.462m above TGZ. RLR year is 2002 with RLR factor 5.438m. According to this (dodgy) data, there has been a fall of sea level since the early 1960s right outside Gareth Morgan’s beach house window. Katherine Hayhoe says we just need to look out our windows to see climate change. 1740.8 – 1590.0 = 150.8mm sea level fall over 4.5 decades. I don’t think Gareth Morgan needs to be alarmed that his sea view will disappear and multi-million property value slump in the immediate future though. It’s the tsunami that will wipe him out. “The cold wave first struck at the beginning of July, hitting the district of Lanny Jaya particularly hard. The sub-districts of Kuyawage, West Wanu and Goa Baliem were struck by hailstorms accompanied by freezing temperatures which plunged to minus two degrees Celsius. “The average temperature in Lanny Jaya ranges between 17.8 degrees to 32 degrees and such an extreme cold wave hasn’t been witnessed since 1989. So far, nine people have died, half of whom were children. Thousands of people are threatened with food shortages, says the article, written by Ahmad Jusein of the IFRC.. The hailstorms caused severe damage to farmland and killed a large number of livestock. “Our community has suffered as the hailstorms destroyed yam crops and people have nothing to harvest. It also killed 168 pigs which are our main livestock,” said Lenius Muria Lanny, head of Kuyawage sub-district. As a staff member at the august academic institute of higher learning that employs some of the greatest alarmists in the business (but I am still proud to say that I work there), Melbourne University has just hosted a visit from Al Gore & the PR spiel says that he would provide “update to his influential 2006 film An Inconvenient Truth”. I have also just finished watching the 6pm TV Channel 7 news weather report which told me that we are on track for the coldest (both daily max & overnight min) July for 19 years. Fortunately, depending on your perspective, crippling heat is everywhere else. Good work, RC, as ever. Brilliant. I think Willem de Lange has mentioned Mt Maunganui is accreting from riverine sediment transport and rising. Illustrates the complexity of geographical processes. The Moturiki Is. tide guage is mounted on a rock on the ocean side though (not harbour side). It is independent of any sedimentary processes. I find this a fascinating statement. Do you think all of our empty natural coast is “vulnerable to storms”? Personally, I only see vulnerability where people have built in the zone that is affected by natural cycles of erosion and accretion; and, under the regime of climate change and rising sea level, where buildings are going to be so affected in the future. Seawalls are dubious protection even under static conditions, and worse as the sea encroaches. Your musings about how development interacts with nature are interesting; I wouldn’t say there’s a blanket answer to whether nature is good and development bad, or vice versa; but in each case the people involved need to balance the risk and reward. Whether to place yourself in the path of the rising sea is, famously, one of the simplest of such cases. Why is it a fascinating statement? The sea walls were placed by private property owners to protect their land. Now the land has been acquired by the government under compulsory purchase, there is no requirement to maintain those defenses, which makes the coast more vulnerable to erosion. What exactly is “fascinating” about this statement? Of course, we are completely fine to build a house close the Alpine Fault, (which we are) which has a greater than 30% chance of rupturing in our lifetime, causing widespread fatalities and mayhem, which the government take no interest in. I just came back from a local community meeting where about 80 people were discussing the new Christchurch plan and how it would affect them, for example by not being allowed to rebuild on land that they own. There was also talk of sea walls and a tidal barrage. Another nice little consultancy earner for someone, dreaming up hair brained schemes. Are you allowed houseboats on dry land? The ultimate live-aboard/house boat, very well maintained by her retiring owner. Launched approximately 1999, steel/timber glassed construction, powered by twin Isuzu 140hp diesels, shaft drive, cruise at 12lph at 6.5 knots. Carries 1000L fuel and 1000L water. A very nice interior layout with 6’3″ headroom, 4 double berths in private cabins, large galley with fridge and 2 freezers, cosy lounge area with diesel heater. Large top deck and entertainment area. Equipped with 6.5kva genset, BBQ, dinghy and 50hp outboard, HIAB deck crane. Equipped with a good range of electronics. Has been in SSM survey. Major refit 2013. Inspection will not disappoint. Currently lying in Picton. Will look at trade/swap on small house on Great Barrier Island. Looks great. Actually, here is a true story. Before I was born, my parents lived on the River Thames in London on a boat. CCC have moved the baseline on 10 years to 2000 from the IPCC’s 1990. Even so, sea levels SHOULD have risen 50mm since 2000 on that projection i.e. 3.33mm/yr in linear terms. But they say Christchurch and Banks Peninsula are only rising at 1.9 +/- 0.06mm/yr. Their man-made boost of 1.75mm/yr is not occurring – they are wrong already in 2015. If they are wrong in 2015 they are wrong for 2065. Why they think they might be able to guess rise to 2115 is anyone’s guess. 3.33mm/yr is 200mm over the 60 years 1990 – 2050 in IPCC terms. Dr Jan Wright implied “20 to 40cms” from 2015 – 2050 i.e. about 300mm over 35 years or 8.57mm/yr. Wrong of course, it should be 300mm over 60 years 1990 – 2050 or 5mm/yr. Why not just accept reality? Thanks for this. The CCC contradicts the Delta Commission of the Netherlands, responsible for keeping the sea where it belongs. Where can we download the booklet? review were included in this report (Version 2). values (termed CEHZ2065 and CEHZ2115 respectively).